Injuries and illnesses have a habit of showing up at the most inopportune times. On the weekend. During a holiday. When we are short on money. Luckily, with FastMed in your neighborhood, you are always covered. 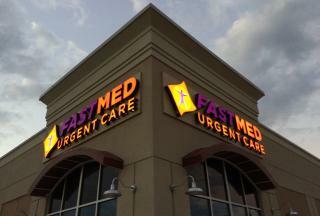 FastMed offers low-cost urgent care in Hickory, NC, that provides an array of services and is available every day of the year. Want to know more about FastMed? If you want to know more about our discount program, check out our enrollment form. Flu shots are meant to protect you from influenza. The CDC recommends a flu shot for anyone over 6 months of age. Vaccines can help protect you and your family from certain diseases such as hepatitis and tetanus. Sports medicine involves the treatment of acute injuries such as sprains, fractures, and dislocations. Physicals help your doctor determine if you are at a high risk for certain medical problems. Digital X-rays are used to digitally transfer X-ray images to save time and use less radiation. On-site labs allow blood tests and urinalysis to be completed without leaving our clinic. Acute illness management refers to the treatment of illnesses, such as influenza or the common cold. Chronic illness management refers to the treatment of more persistent illnesses, such as heart disease and diabetes. At FastMed, we are committed to offering quality healthcare affordably, conveniently, and quickly. If you live in or around Hickory, NC, we hope you will choose us as your preferred low-cost urgent care. Give us a call today to learn more!